Between the Mediterranean and the Pyrenees, the Roussillon has it all! Situated 40 kilometres away from sandy beaches, with 320 days of sunshine each year and mountains and vineyards as far as the eye can see, the Roussillon district offers a paradise for tasting wines, whether reds, whites, rosés or the region’s famous fortified sweet wines known as vins doux naturels. A landscape with many different sides to it, the Roussillon invites you to replenish yourself by enjoying the local produce and its famous wines. 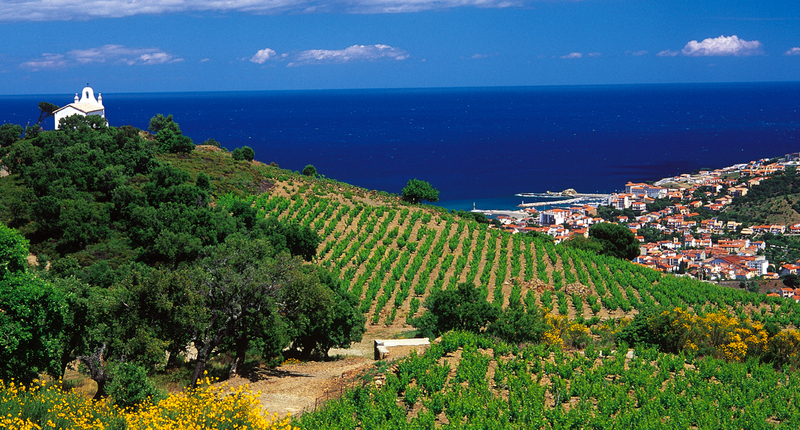 Between the land and the sea, the Roussillon district enjoys a warm, sunny climate, which is perfect for the production of wine. This is a natural amphitheatre open to the Mediterranean to the east and bordered by three mountain ranges: the Corbières to the north, the Pyrenees and Mount Canigou to the west, and the Albères to the south. The plain has three rivers: the Agly, the Têt and the Tech. 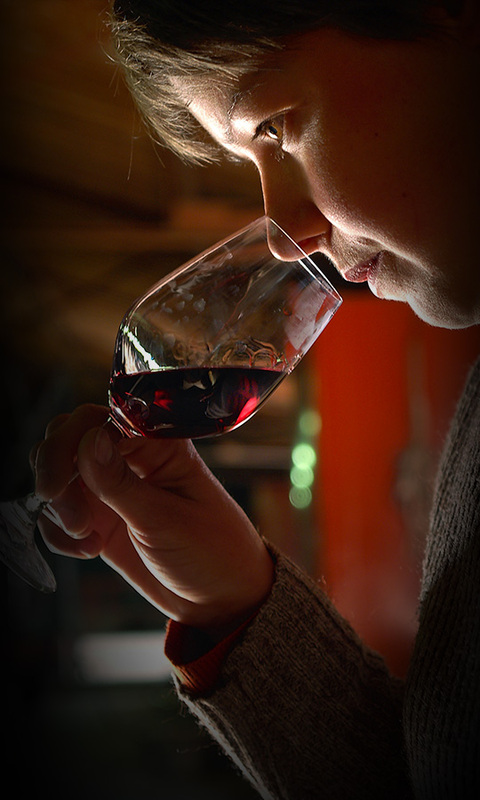 Whether you are a gourmet, a wine enthusiast or a curious traveller, take the Roussillon Wine Route, learn about wine and become an expert! Discover the vineyards, meet the winemakers and the wine brokers, and visit the cooperative wine cellars, where you can taste exceptional wines. Grenache (black or white), Carignan, Syrah, Macabeu... A total of 23 grape varieties grow in the different soils and make up the 14 origin-approved wines and three IGP-quality wines. 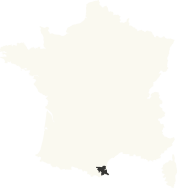 There are a number of high-quality wine areas within the Roussillon wine district and a rich and diverse range of wines, each with its own unique characteristics, personality and place in the wine-tasting world. 1.Taste the vintages of sweet fortified wines (vins doux naturels) from the year you were born and learn about this invention by a doctor to the royal court of Majorca who, in the thirteenth century, discovered this miraculous combination of wine and grape spirit. 2.Discover the centuries-old secrets of the making of rancios secs. 3.Visit the vineyards and gaze at their unusual architecture, the traditional farmhouses with their stone walls and cayrous bricks, and the bourgeois architecture of the Belle Epoque. Dry wines: Côtes-du-roussillon, Côtes-du-roussillon Les Aspres, Côtes-du-roussillon villages (CRV), CRV Caramany, CRV Lesquerde, CRV Latour de France, CRV Tautavel, Maury sec, Collioure. Fortified sweet wines (vins doux naturels): Muscat de Rivesaltes, Rivesaltes, Maury, Banyuls and Banyuls Grand Cru. Red: Grenache Noir, Carignan, Lladoner Pelut, Mourvèdre, Syrah and Cinsault. White: Grenache Blanc, Macabeu, Malvoisie du Roussillon, Muscat à Petits Grains, Muscat d’Alexandrie, Marsanne, Roussane, Vermentino.